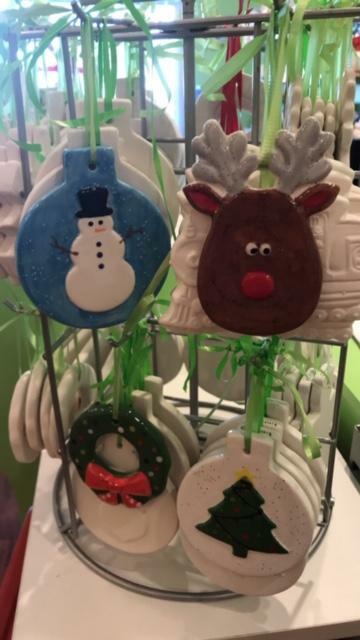 Pick your 2 favorites from a selection of Holiday Ornaments! * We will be hosting Black Friday Camp for ages 4 & up… enough fun & creativity to keep your kids busy. * Following Gymnastics Lunch Brunch: 12:30PM-1:30PM. * Pick up your kids at Happy Hands Art & Pottery (Building L). * To reserve a spot, registration below is required. * Kids will be introduced to the magic world of pottery. They will see their projects come to life through pottery painting. -In consideration of camp program provided by the Happy Hands Art & Pottery, LLC. facilities in which camp program are held, I do hereby allow my child/children listed above to participate in camp program activities and do hereby waive claim and release Happy Hands Art & Pottery LLC for claim or liability for any incident or accident occurring from my child’s participation in the art camp activities. 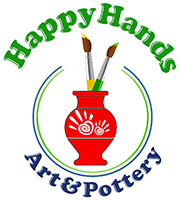 I authorize emergency first aid care to said child by Happy Hands Art & Pottery LLC. Staff in the event he/she becomes injured or ill during the party if the parents and/or legal guardian of the child are not immediately available at the telephone numbers provided above. I further authorize Happy Hands Art & Pottery LLC. to retain the services of a physician or other competent emergency medical persons to treat the child and I accept full financial responsibility for any charges arising from said treatment. - Happy Hands Art & Pottery reserves the right to use photos or videos taken at our programs and events on our website, blog, social media or in printed materials.